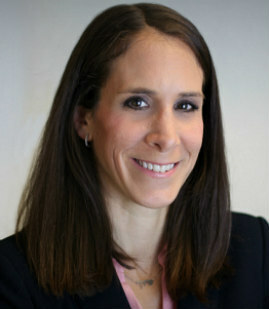 Carly Epstein represents companies in a variety of labor and employment matters including breach of contract and fiduciary duty disputes, wrongful termination, discrimination, harassment, and retaliation. She also litigates claims regarding trade secret misappropriation and violations of restrictive covenants. In addition, Carly advises clients on day-to-day employment issues including hiring, termination, wage and hour issues, and compliance with local, state, and federal laws and regulations. She also counsels clients on labor and employment issues that arise in connection with mergers, acquisitions, and other corporate transactions. Because Carly was a teacher before becoming an attorney, she likes to focus her pro bono representation on serving Los Angeles’s youth community, including representing unaccompanied minors seeking asylum and counseling non-profit organizations that provide services to minors. Successfully opposed an application for a preliminary injunction that sought to prevent a well-known radio personality from entering into an employment relationship with a new radio station. Quickly settled a trade secret misappropriation and employee solicitation matter for a semiconductor company that allowed the company to prevent any loss of employees and any unfair competition through use of the misappropriated trade secrets. Obtained dismissal with prejudice for a Fortune 500 company in a lawsuit by a former employee alleging breach of contract, wrongful termination, promissory estoppel, and violations of the covenant of good faith and fair dealing. Defended network in a high-profile, high stakes litigation involving claims of retaliation and wrongful termination for alleged whistleblowing and advocacy. Prepared position statements in response to Equal Employment Opportunity Commission and similar state agencies Charges of Discrimination.